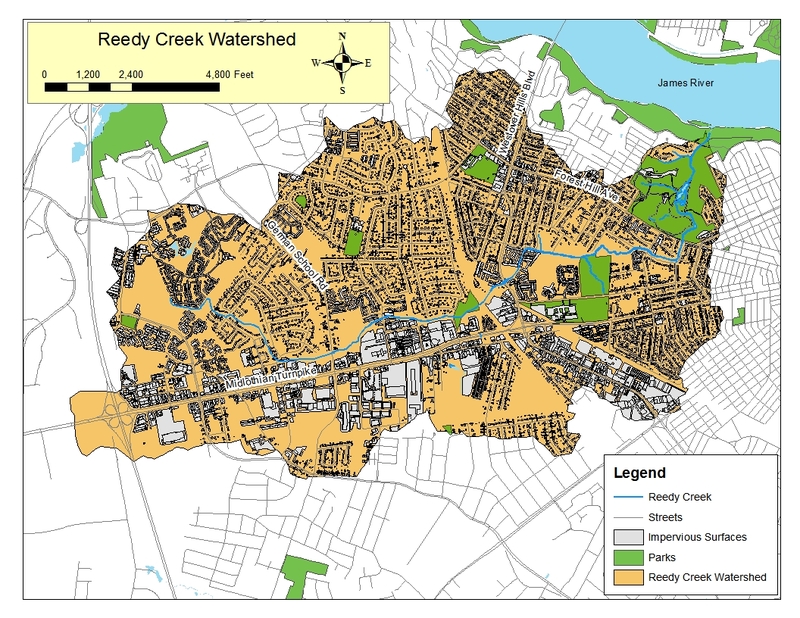 « It’s the Reedy Creek Watershed Shuffle! 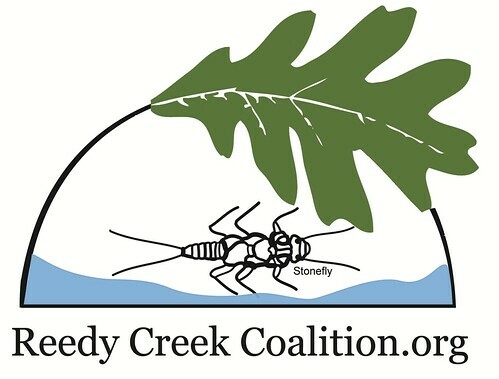 Reedy Creek Watershed Shuffle is Big Success! 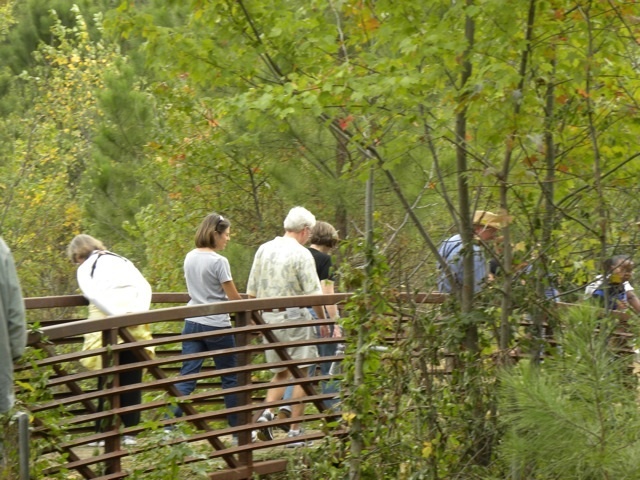 The Reedy Creek Watershed Shuffle on Sunday, October 24, was a great success. 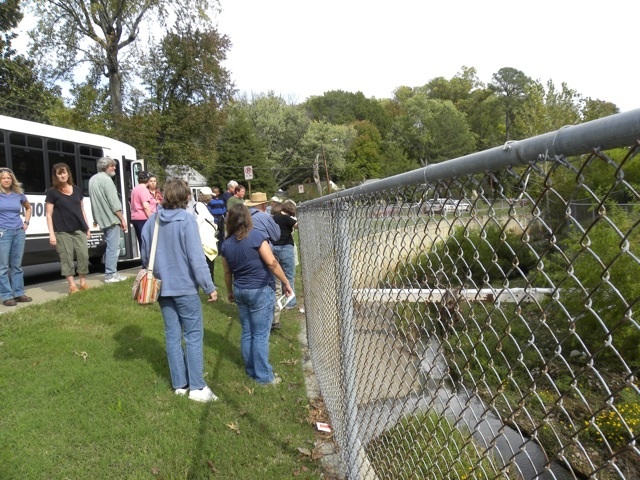 Forty-five people took the bus tour with the following stops along the creek as it makes its way to Forest Hill Park. Stop #1 was the mitigation wetlands at Beaufont Grove near Miles Jones Elementary School. 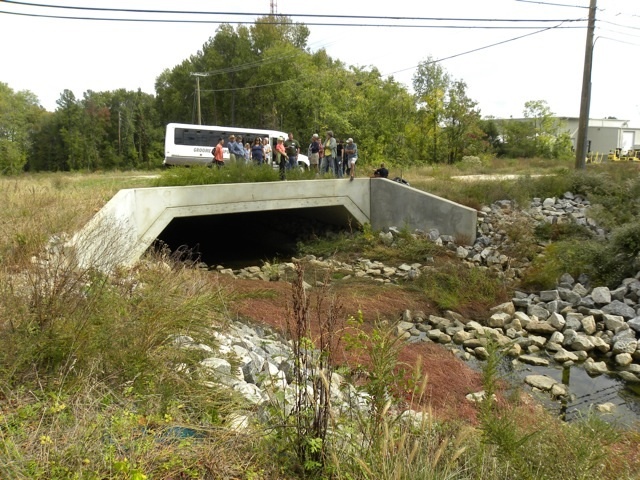 This 4-acre wetland was created to compensate for urban impacts of creek channelization within the Reedy Creek watershed. The two tiers of this wetland receive stormwater from the adjacent residential area (upper tier) and serve as the floodplain for Reedy Creek (lower tier). Stop #2 illustrated the more modern “natural design” of stream channelization. The banks of the channelized area are completely covered in vegetation. This vegetation helps slow the velocity of floodwaters and the underground tangle of roots helps hold the banks together and prevent erosion. Stop #3 illustrated the old concrete channel method of channelization. The disadvantages of this old method are: polluted runoff becomes trapped; there’s no way for water to seep into the ground; there’s no floodplain; there’s no vegetation; the straight chute doesn’t slow down the water; warmer water harms aquatic life. 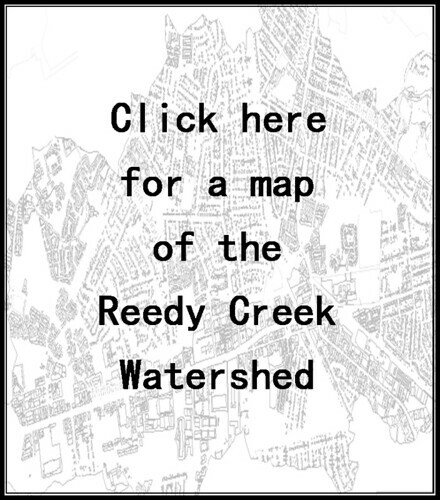 Reedy Creek is encased in a deep and wide concrete channel for approximately 1 mile from Eric Road to two blocks downstream of Westover Hills Boulevard. Stop #4 at Crooked Branch Ravine gave some idea of how beautiful Reedy Creek could be in a natural state. Even here, however, we saw stream bank erosion resulting from increased water velocity during storm events as a result of the channelization upstream. 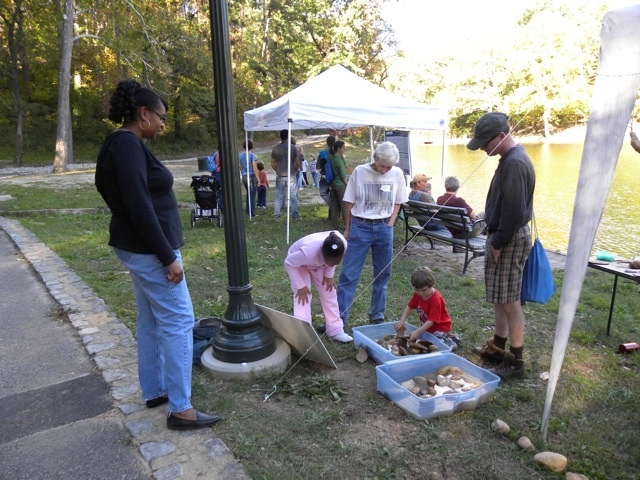 After the tours Some 150 people participated in activities at Forest Hill Park. 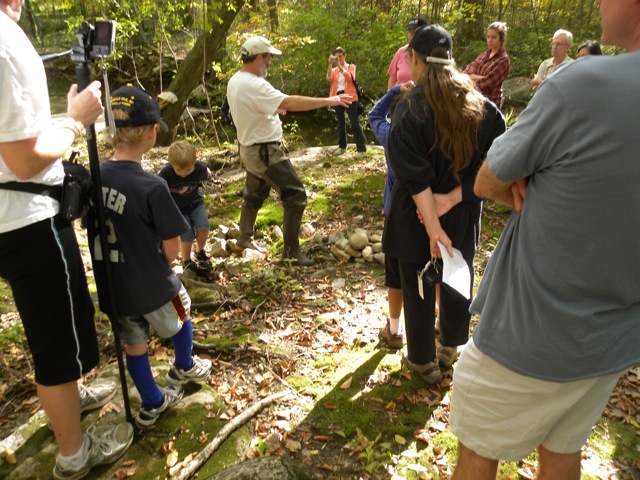 Some of the activities included looking for wildlife under rocks, learning about water monitoring, experimenting with watershed models (presented by students from Patrick Henry Elementary School), and eating S’mores.